A closer look at the scaffold on the east side of Scarlet Moon Hall. The tiles are various D&D Dungeon Tiles held together by Terraclips clips. Unfortunately, Terraclips aren’t manufactured anymore, and since they weren’t designed for use with Dungeon Tiles one has to be careful using them or else they’ll damage the tiles. 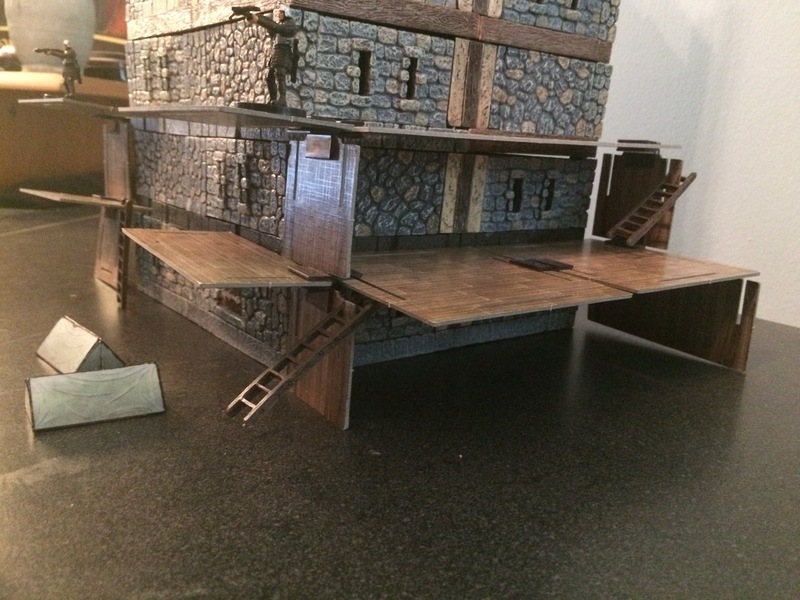 The ladders are Dwarven Forge and I placed them mostly where they would stand on their own (hooking them into notches in the tiles I used).